Two judges on a three-judge panel in the Ninth U.S. 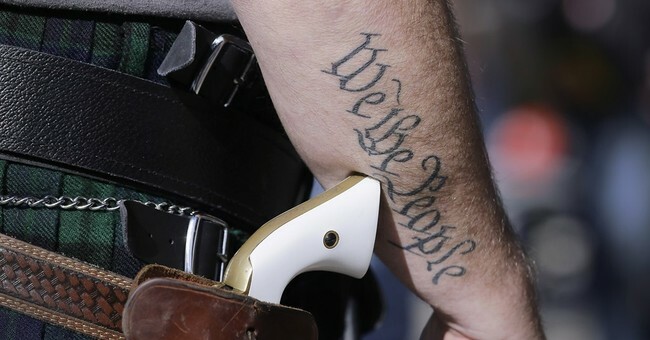 Circuit Court of Appeals in San Francisco ruled that the Second Amendment protects an individual’s right to open carry on Tuesday. The ruling overturned a lower district court’s decision that stated George Young, a man from Hawaii, did not have his Second Amendment right violated when authorities twice denied him a permit to carry a firearm outside of his home. Analyzing the text of the Second Amendment and reviewing the relevant history, including founding-era treatises and nineteenth century case law, the panel stated that it was unpersuaded by the County’s and the State’s argument that the Second Amendment only has force within the home. The panel stated that once identified as an individual right focused on self-defense, the right to bear arms must guarantee some right to self-defense in public. The panel held that because Hawaii law restricted plaintiff in exercising the right to carry a firearm openly, it burdened conduct protected by the Second Amendment. The panel stated that restricting open carry to those whose job entails protecting life or property necessarily restricts open carry to a small and insulated subset of law-abiding citizens. The panel reasoned that the typical, law-abiding citizen in the State of Hawaii was entirely foreclosed from exercising the core Second Amendment right to bear arms for self-defense. The panel concluded that Hawaii’s limitation on the open carry of firearms to those “engaged in the protection of life and property” violated the core of the Second Amendment and was void under any level of scrutiny. Because Hawaii is a “may issue” state when it comes to its carry permits, the law requires those applying for a license to show authorities they fear for their personal safety or the safety of their property. The two judges who voted to reverse the lower court’s decision are Judge Diarmuid O’Scannlain, appointed by former President Ronald Reagan in 1986, and Judge Sandra S. Ikuta, appointed by former President George W. Bush in 2006. Judge Richard Clifton, who was also appointed by former President George W. Bush in 2002, authored the dissenting opinion. This latest decision may increase the intensity of the fight over Judge Brett Kavanaugh’s nomination to the Supreme Court, as the judge is known to be a staunch defender of gun rights. In the past, Judge Kavanaugh has gone so far as to say assault weapon bans are unconstitutional. If this case eventually makes its way to the Supreme Court, and the court decides to take it up, Second Amendment supporters, gun owners, and open carry proponents may get the ruling they want with Justice Kavanaugh on the bench.